Steel enamel – the special combination of glass and steel is a time-honoured tradition to which Kaldewei has been devoted with a passion which now extends across four generations. Throughout its 100-year corporate history, the bathroom manufacturer has consistently pushed the boundaries to revolutionise this material and its manufacturing processes. The result is impressive: today, steel enamel is a high-tech material appreciated worldwide for its superior qualities. Kaldewei illustrates how it uses robust steel and superior enamel to create unique objects of modern bathroom culture. 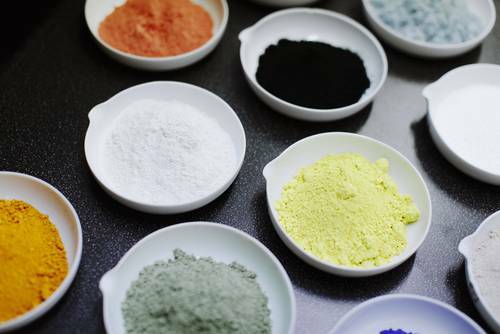 Californian borax, Scandinavian feldspar, quartz and soda – these and other natural substances have been the ingredients used for millennia to produce enamel. 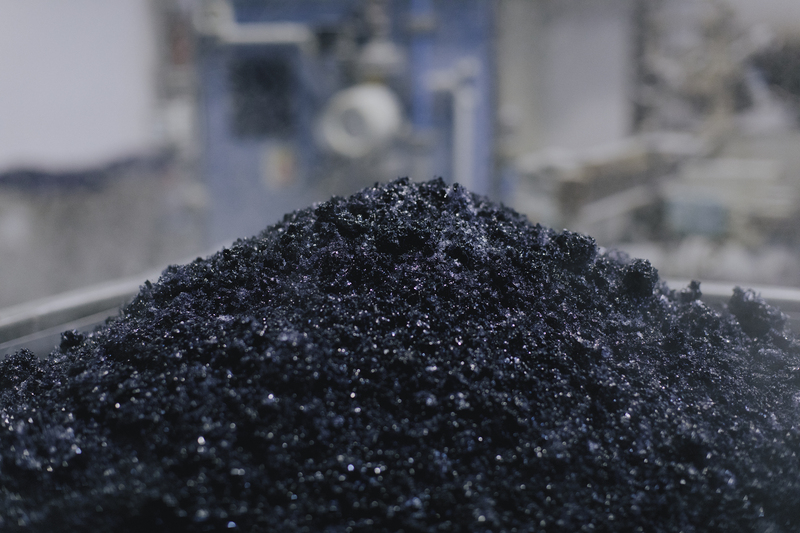 Kaldewei has steadily advanced, refined and optimised the unique formula and today is the only bathroom manufacturer worldwide to produce its enamel in its own melting furnaces – based on a top-secret proprietary formula. 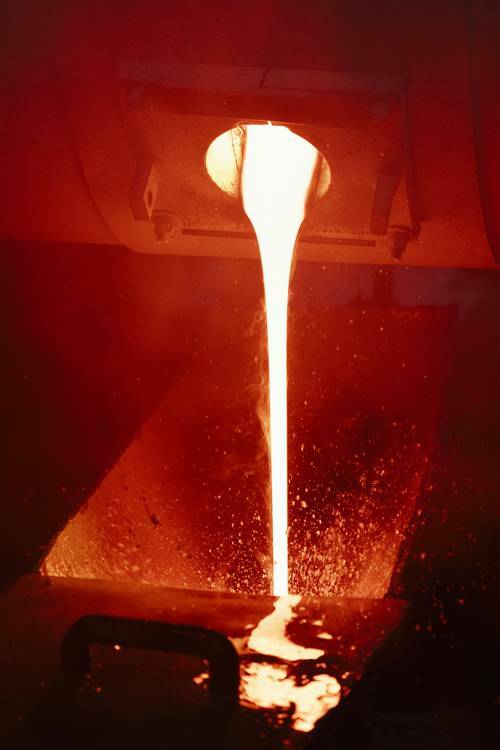 The raw materials are mixed in rotary furnaces heated to around 1,300°C. The resulting red-hot enamel mass is then quenched in cold water causing it to solidify before it is broken down into tiny glass granules, known as enamel frit. In rotating ball mills, the enamel frit is mixed with water, additives and pigments to create a sprayable enamel slurry. All Kaldewei bathtub blanks are made from steel of the finest quality, which must be sufficiently ductile for deep drawing and moulding, while being suitable for enamelling. 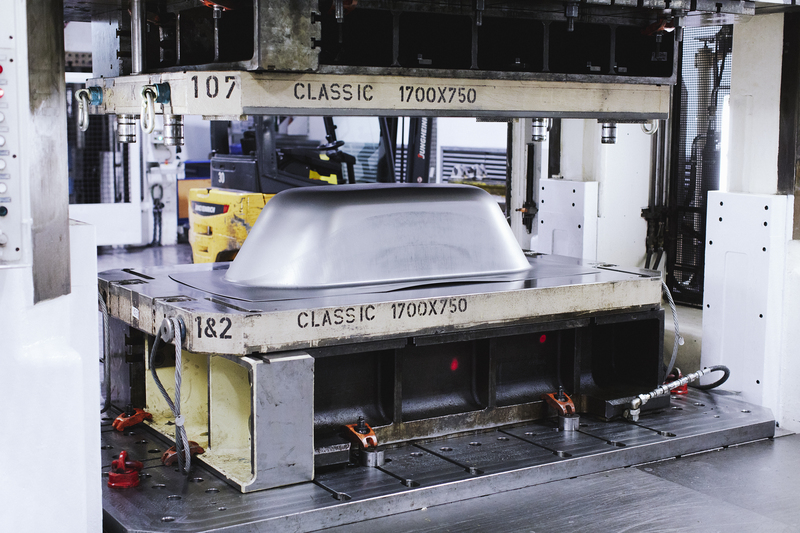 In the first step, the micro-alloyed titanium steel blank is deep-drawn into its ultimate shape on a bathtub press line that applies forces of up to 1,200 tons. Next, the waste and overflow holes are cut in a partly automated process, and the earthing and transport straps and bath lugs for the feet are welded on. Custom holes for handles, fittings or whirlpool jets are added by way of laser drilling. Steel and enamel now need to be permanently bonded. 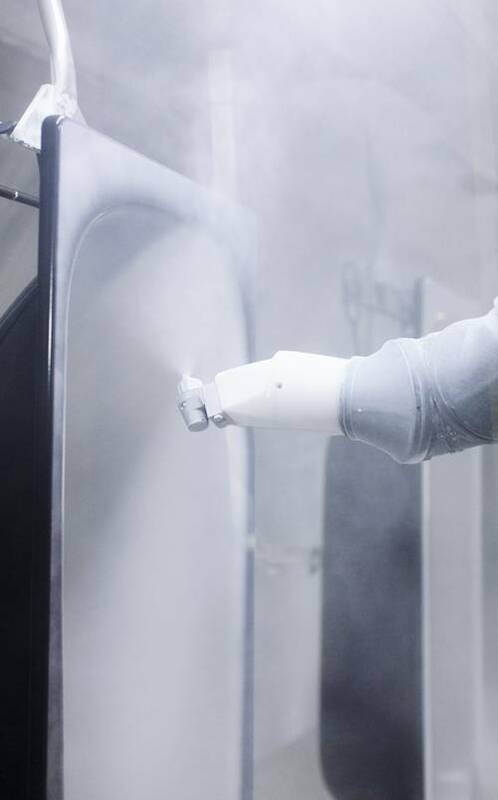 In this process, the base coat is sprayed onto the blanks by robots and fired into the surface at around 850°C. Steel and enamel form a molecular bond that cannot be mechanically separated and protects the whole tub body. The final coat provides the enamelled product with its visual and haptic properties and the characteristic Kaldewei durability. Steel and enamel have now formed the inseparable bond that makes the Kaldewei bathtub, shower surface or washbasin complete. Every bathtub undergoes rigorous quality control testing before leaving the Kaldewei factory and is released for sale only after it has successfully passed the inspection. This applies to every bathtub, shower surface and washbasin – without exception. The unique material quality is backed by Kaldewei with a 30-year guarantee on its products and because all Kaldewei bathroom solutions are produced from pure, natural resources, they can be fully recycled at the end of their lives – ready, perhaps, to resurface as a brand-new Kaldewei bathtub. The raw materials used to produce the enamel are sourced from six continents. 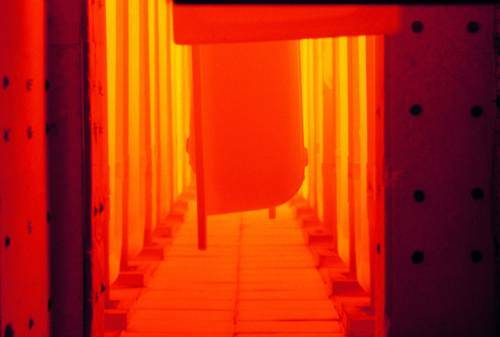 Tapping in the Kaldewei melting furnace: the red-hot enamel mass is quenched in cold water. The enamel frit – tiny glass granules – is processed in the mill to create a sprayable enamel slurry. The Kaldewei bathtubs are formed from a single sheet of steel by applying forces of up to 1,200 tons. The enamel slurry is sprayed onto the bathtubs by robots. In U-type furnaces, the enamel is fired into the surface at around 850°C. 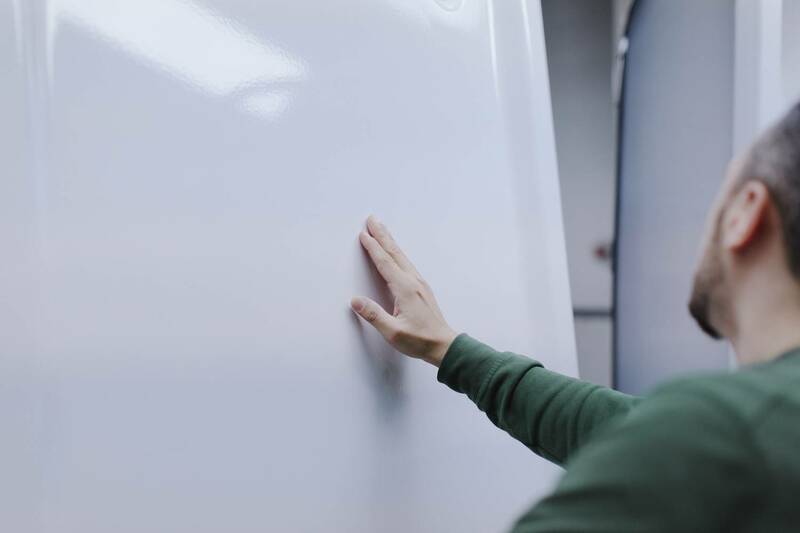 Every bathtub, shower surface and washbasin undergoes rigorous quality control testing – without exception. It is released for sale only after it has successfully passed the inspection.